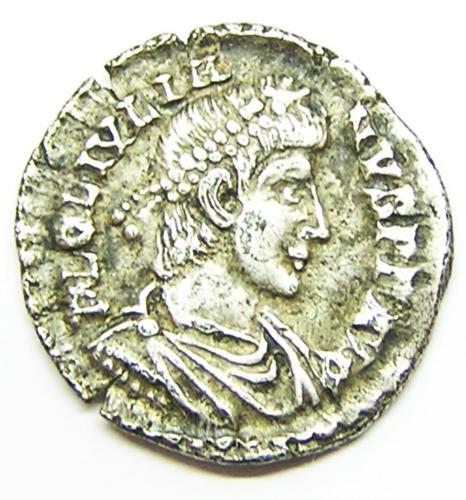 This is an excavated Roman silver Siliqua of emperor Julian II, dating to 360 - 363 A.D. This coin was minted at Lugdunum (Lyons in France) mint mark PLVG, the 'P' stands for Primus i.e. the 1st Officina. It had traveled across the English Channel, being discovered by a metal detectorist in Lincolnshire.